Less than 48 hours into the race for ranking member on the House Ways & Means Committee, Springfield Congressman Richard Neal appears victorious as his only competitor withdraws. Los Angeles Democrat Xavier Becerra, who jumped into the race Tuesday night, has announced he will accept California Governor Jerry Brown’s nomination to succeed Kamala Harris as the state’s Attorney General. Outgoing ranking member Sander Levin, who said Tuesday we would step back to focus on other issues, threw his weight behind Neal after initially backing Becerra. This leaves little room for another challenger. Neal is set to become Democrats’ point man on the committee that oversees taxation and major federal entitlement programs all of which, especially Medicare, will be in Republican cross hairs come January. 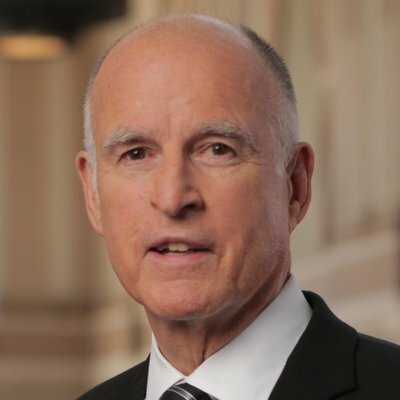 “Governor Brown has presented me with an opportunity I cannot refuse — to serve as Attorney General of my home state,” Becerra said in a release that also implied a desire to defend California’s strides on progressive priorities relative to the nation as a whole. Levin’s departure and the Becerra-Neal duel came amid a Democratic House leadership that pit Ohio Congressman Timothy Ryan against incumbent leader Nancy Pelosi. Pelosi prevailed Wednesday, but a third of the incoming Democratic caucus backed Ryan. While some of the post-election Democratic soul-searching has relitigated battles from the presidential primary, the House leadership fight also reflected discontent among younger reps who have felt they have little voice and few opportunities for advancement. It seems plausible that Levin, 85, was encouraged to open the slot up for someone like Neal, 67, or Becerra, 58. The Boston Globe Wednesday described Neal’s camp as surprised by Levin’s quick endorsement of Becerra, perhaps presaging a tougher battle than the former Springfield mayor anticipated. Still, Neal, adept at relationship building and liked by both parties probably had an edge. But the turn of events is stunning, even for Washington. California media speculating on Harris’ successor rarely mentioned Becerra. In March, national media like Politico thought Brown might pick a low-profile placeholder. The Stanford-educated Becerra, a deputy attorney general before going to Congress, is certainly qualified. Yet eyebrows had to shoot up when Brown’s offer came in the heat of the nascent Ways & Means battle. A formal vote to install Neal is expected soon, perhaps Friday. In any event, Neal will have his work cut out for him facing Republican Speaker Paul Ryan’s designs to privatize Medicare. A spokesperson for Neal did not immediately return a request for comment at posting time. Yet, weakening Social Security or Medicare would play against type for Neal, a one-time teacher with a mastery of history and details. Stumping for Democrats, Neal has forcefully defended the programs noting their impact in his own life. After his parents died, a teenage Neal and his sisters received Social Security benefits, which helped them get by while living with their grandmother. That tone is likely on Ways & Means especially given Pelosi’s successful stand against George W. Bush’s plan to gut Social Security in 2005. Neal’s district, which covers Berkshire and Hampden Counties and western Franklin and Hampshire County, also stands to benefit. Even in the minority, the influence Neal will command could benefit the 413 and Massachusetts broadly. Should Democrats find their way out of the wilderness and regain the House majority, the possibilities only grow from there.